This guest house, with a strong operating potential and its permanent activity, will offer your guests a pleasant vacations. 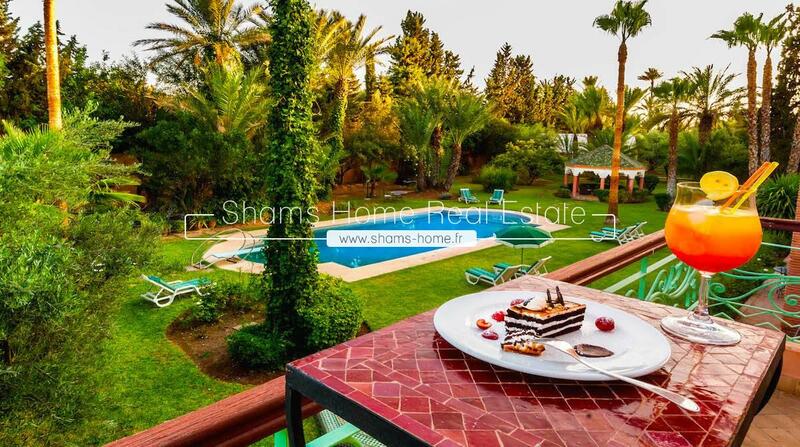 Shams Home , our luxury real estate agency in Marrakech, is proposing this luxurious charming guest house located in lush gardens, on the road of Ourika face to the the Atlas chains, a breathtaking view! 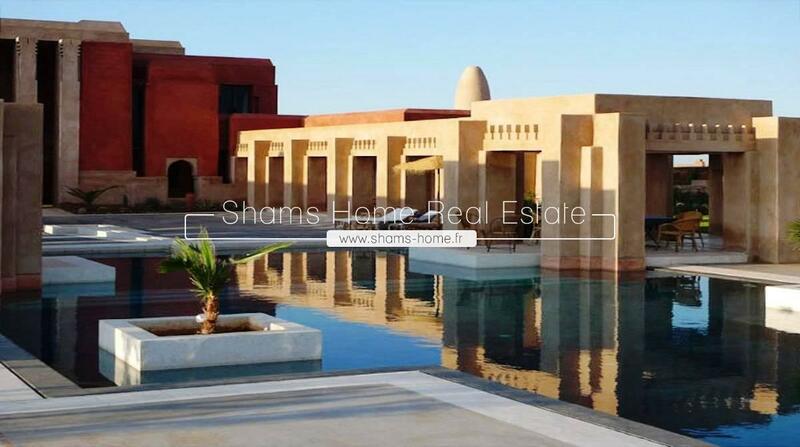 Shams Home our luxury real estate agency in Marrakech is proposing this exceptional residence of architectural style very modern combining both the chic identity with a local identity. 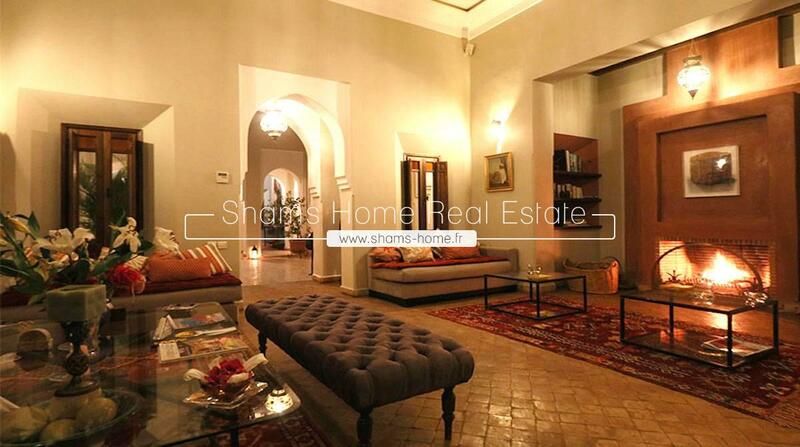 Luxury real estate agency in Marrakech, specializing in the transaction of prestigious properties , Shams Home offers you this heavenly Guest house on the road d'Ouarzazate. Luxury palace with private pool and garden. In the basement : A Large Sitting room, three massage rooms, a steam room, a closet, a staff room with shower and toilet for guests. 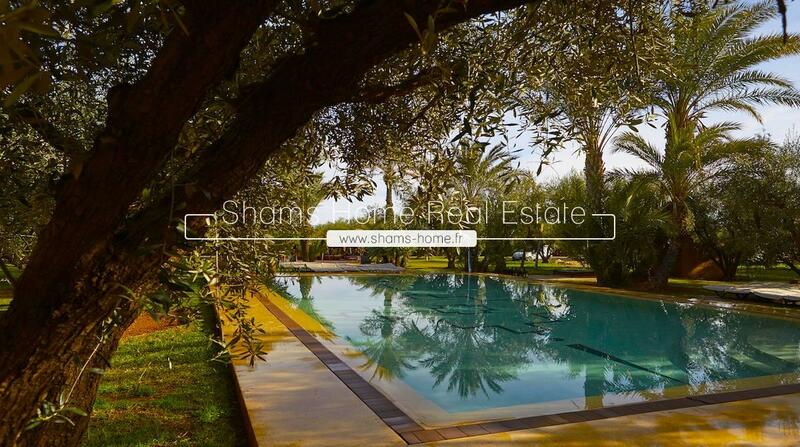 Shams Home our luxury real estate agency in Marrakech offers you this villa ideally located on the road of the Dam and offering a breathtaking view of a Berber village and its kasbah. 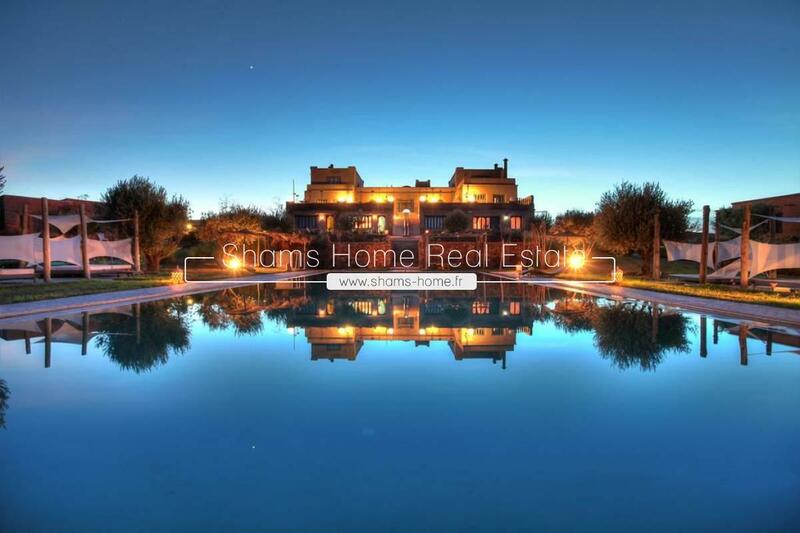 Refinement and decoration of scenery perfectly defined this guest house with 5 bedrooms built on a plot of 10000 m² and a living area of 800 m2. At km 16 on the Ourika road and 15 minutes from the center of Marrakech, we have this beautiful guest house with 4 bedrooms and 1 suite, living room with fireplace, kitchen.